After re-watching that scene, I can’t help but feel the jolt of goosebumps travel from my shoulders, down to my toes, and back up again. The feeling is eerily familiar. I had just experienced my own similar Eat Pray Love journey not too long ago. Liz was leaving behind everyone she loved; everything she knew. I, too, left behind everyone I loved and everything I knew. I had reached a point in my life back in California, where nothing felt right. I began to feel the pangs of every decision I had made up to that point. Wasn’t this the life I had procured for myself? I (just like Liz) actively participated in creating this life, so why wasn’t I happy? I began to accept something I knew deep down inside for a very long time–I needed to start over. I wanted to move somewhere where I could become inspired again. I wanted to go to a place where I didn’t know a single person. After telling my story to a well known astrologer/medium in the Bay Area, she agreed and told me (as Ketut Liyer prophesied to Liz in Bali) that I needed to move and start over somewhere new. Together we consulted the spirits, and of all the cities and countries we examined, they (we) chose Portland. That was the moment I decided that I would have to figure out a way to move out of Oakland, and then save up enough money to make my way up North. I didn’t have any housing planned, nor job lined up. Just the sheer determination and faith in the process that I would make it work. The only thing that had kept me in Oakland for as long as it did, were the friends I made within the four years I lived there. Saying goodbye to those friends truly was the hardest part; my friends are an extension of my family. After four years, I guess you can say I fell out of love with Oakland, as Liz fell out of love in her marriage. So she ended it. And I did as well. I admit, it wasn’t an easy process, but thanks to my willingness to never give up, and meeting a group of truly amazing people (the new friends I’ve made here have been such a blessing and have helped me get through the many obstacles I encountered) I managed to set out and do exactly what I intended to do: start a brand-new life. The rush of being inspired again gives me goosebumps. The good kind. So while my journey here is far from over, I believe that I’ve started a new chapter in my own Eat Pray Love story. Because it’s February (with the Hallmark holiday of Valentine’s Day just a few away) I thought I’d partake in the festivities and create a menu of Eat Pray Love-inspired recipes, featuring cuisines from the countries Liz visited. 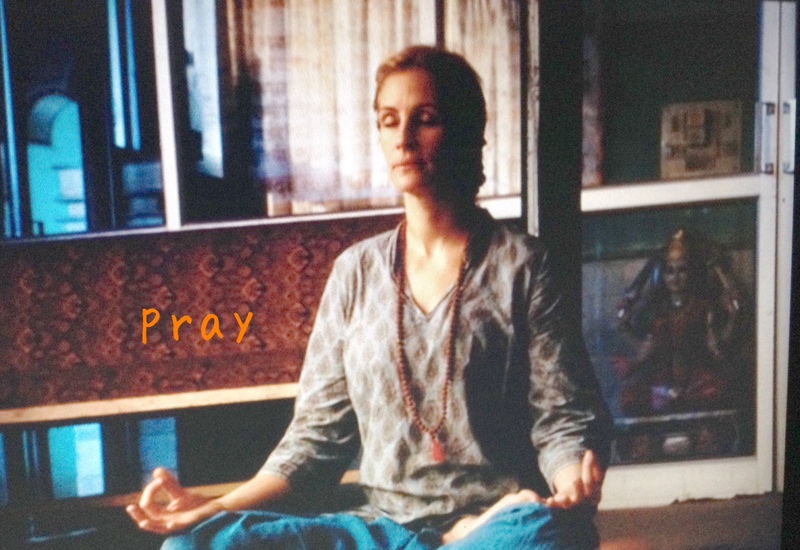 I hope my story (or Liz’s) inspires you to partake in your own Eat Pray Love journey.